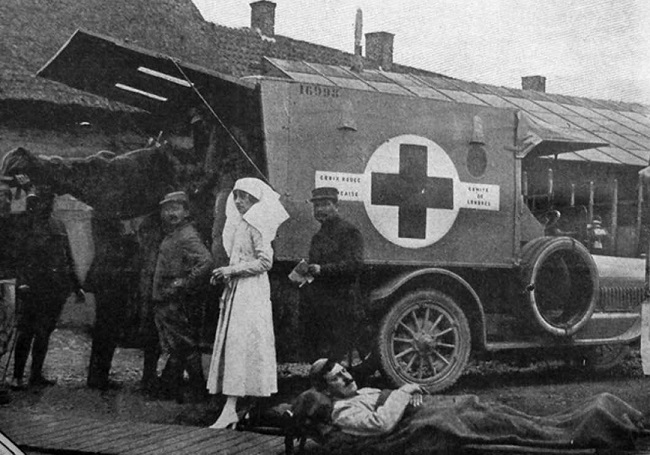 Mary Borden-Turner, who recruited Ellen La Motte as an army hospital nurse on the front, receives wounded soldiers from an ambulance. Photo from Jane Conway / MaryBorden.com. During this time at the Front, the lines moved little, either forward or backward, but were deadlocked in one position. . . . [Where] there is little or no action there is a stagnant place, and in that stagnant place is much ugliness. Much ugliness is churned up in the wake of mighty, moving forces, and this is the backwash of war. After her stint at the hospital, La Motte contributed to The Atlantic Monthly a series of articles, including “Heroes,” that became the backbone of her book. 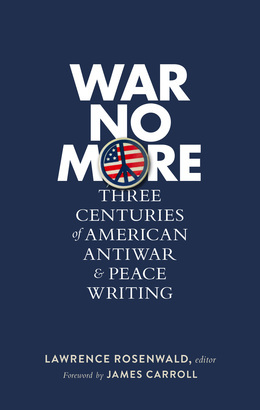 Additional information about her will be found in the headnote preceding the selection, presented by Lawrence Rosenwald in the just-published LOA collection War No More: Three Centuries of American Antiwar and Peace Writing. When he could stand it no longer, he fired a revolver up through the roof of his mouth, but he made a mess of it. . . . If you don't see the full selection below, click here (PDF) or click here (Google Docs) to read it—free!